Alpine glaciers and snow represent one of the most important water reserves for the water budget of the Po valley. The dramatic reduction of surface and mass of Alpine glaciers due to climate change is widely documented and it is recognized that it will represent a reason for high concern for the availability of water resources in Northern Italy. 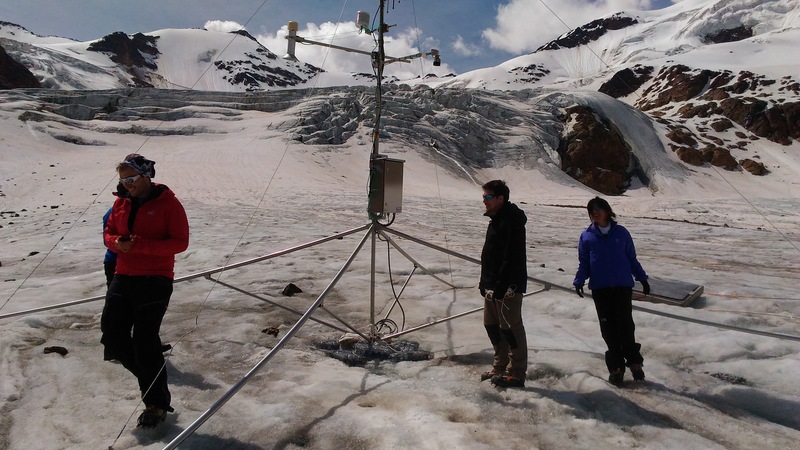 Moreover, the presence of several groups of contaminants, either Persistent Organics Pollutants (POPs) deriving from long range atmospheric transport or personal care products (PCPs) deriving from local or regional emissions, is also documented in high mountain glaciers of the Alps, affecting the quality of this precious resource. The aim of the DELTA project is to improve the knowledge on quantity and quality of water resources derived from ice and snow melting in order to provide necessary information for mitigation and management purposes. 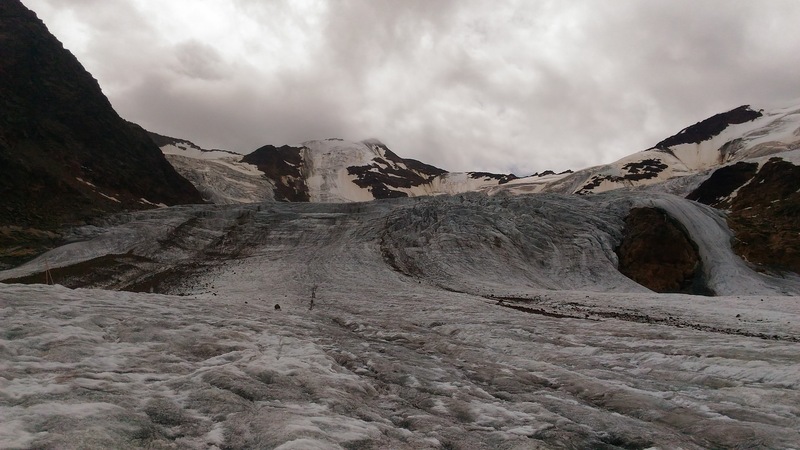 – the expected changes of these cycles due to climate change which is already affecting Alpine cryosphere – the degradation of contaminants in cold environments. 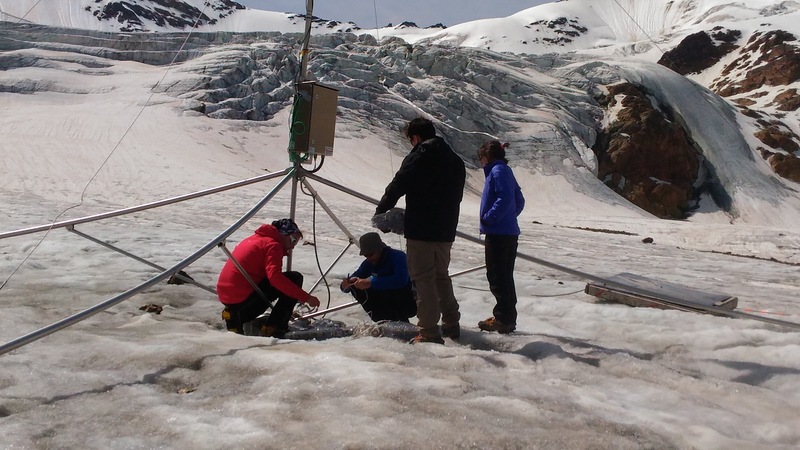 One of the innovative aspects of the project was to assess of the role of metabolically active bacteria, which are known to occur on the surface of mountain glaciers, for the in-situ biodegradation of contaminants. 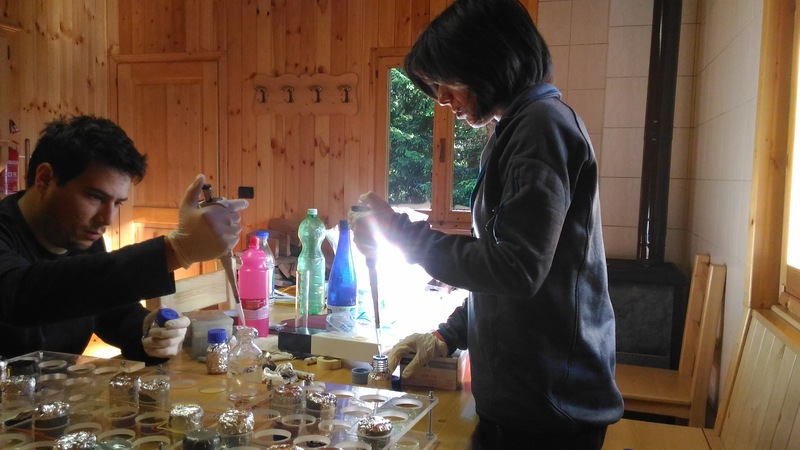 This aim was also one of the main targets of the activities of the Research Group of the University of Milano-Bicocca. 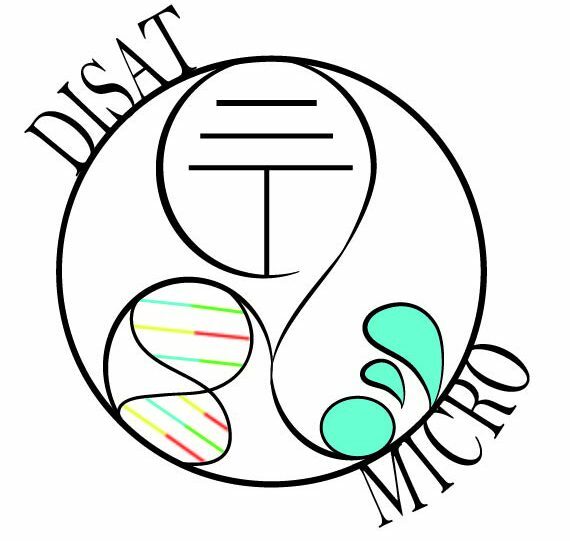 With the contribution requested to the University of Milano-Bicocca (FAQC) we aim at performing a small subset of the analyses planned in the original proposal and in particular the “In situ microcosm experiments to evaluate the degradation rates of pollutants”. 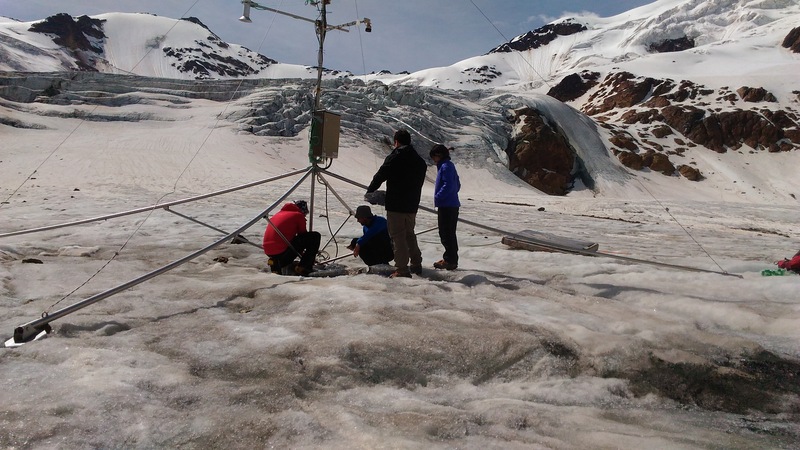 Briefly, we aim at estimating the rate of photodegradation and biodegradation of PCBs and PCPs in the glacial environments. 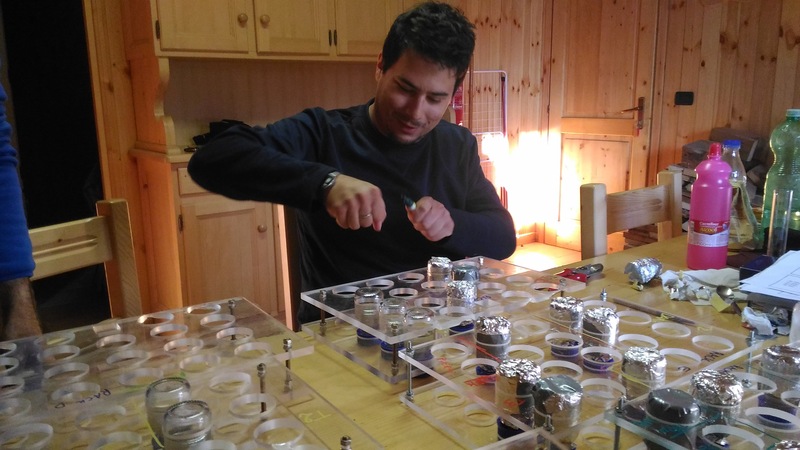 The microcosm experiments will be carried out on the glacier surface using sediments collected from cryoconite holes (small ponds filled with water and with a thin layer of debris rich in organic matter at the bottom), which are considered the most active microenvironment on the glacier. 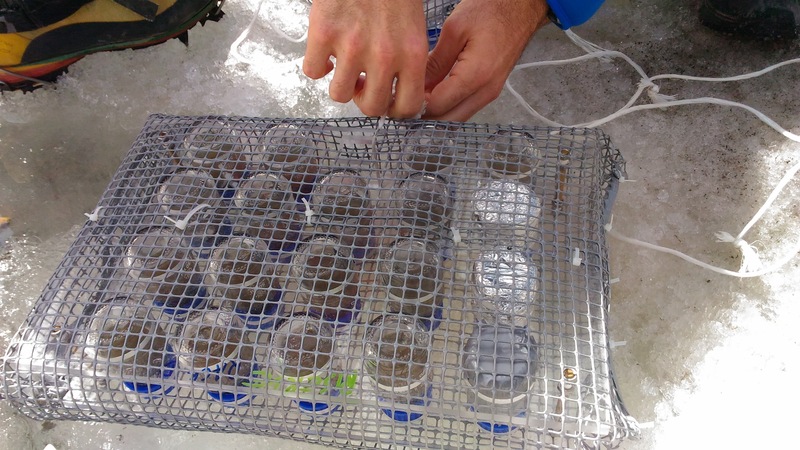 Sediments and water will be placed in closed vessel to reproduce the cryoconite environment, with and without spiking of the contaminants. 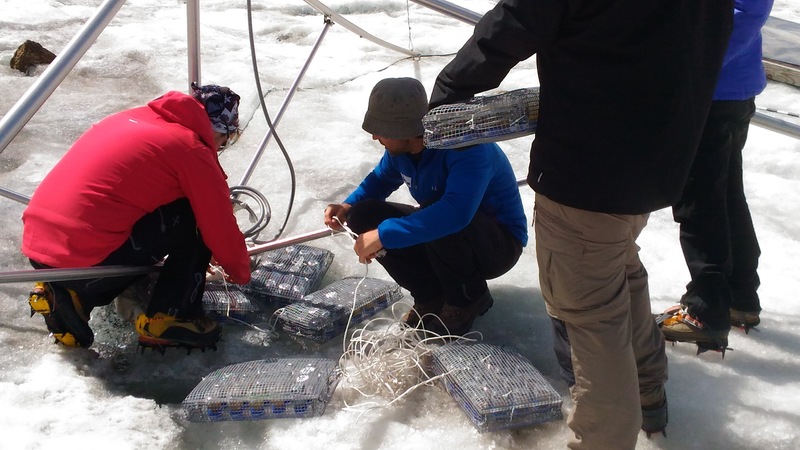 Replicate vessels will be placed on the glacier surfaces under light and dark conditions and monitored over time. 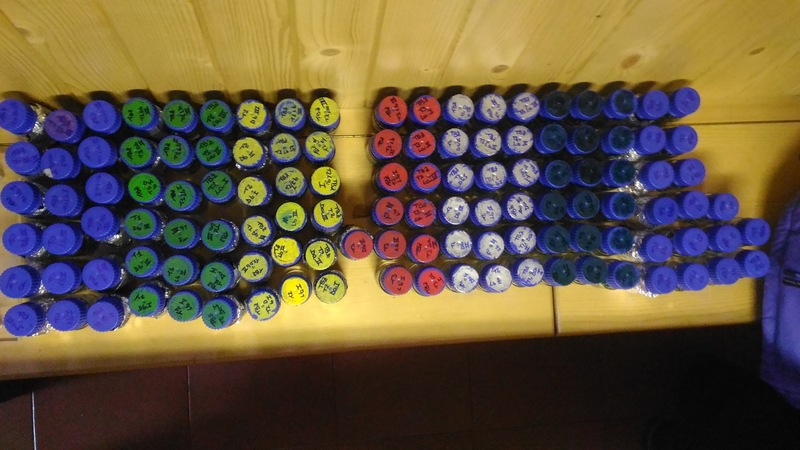 Chemical and microbiological analyses will be carried out to measure the residual concentration of pollutants and to evaluate the effect of contaminants on the microbial communities. Overall, we plan to perform experiments on 40 vessels. 3. the abundance of the key genes involved in the biodegradation of the pollutants.